How Do I Do My Own Payroll and Payroll Taxes? Payroll is something many business owners hate because it can be complex. However, if you have only a couple of employees, you may want to do it yourself rather than using a third party. This article is a step-by-step "mini-course" in payroll. Take special note of payroll and payroll tax due dates. There are important decisions to be made in setting up your payroll, so think carefully and get advice before you commit to these decisions. 1. Preparation: Before you begin to hire employees, you will need to prepare for payroll calculation and processing and decide who will do all the payroll tasks. 2. Paying employees: When you have employees, you must set up a system to calculate their pay, write paychecks, and distribute them. 3. Post-payment: After you have paid employees, you must set aside money for taxes, complete a payroll register, make tax payments, and send payroll reports to the IRS at the correct times. 1. Understand your legal responsibilities as an employer. 2. Follow this easy 12-step checklist to make sure you complete all pre-employment tasks for employers. Which employees will be hourly and which will be salaried? How often will you pay employees—weekly, twice a month, every other week, or monthly? How and when will you pay overtime? How will you require hourly employees to keep track of their time? What paid time off will you provide for hourly employees? You are not legally required to pay employees for any time off, but most businesses pay for holidays, vacations, sick days, or personal days. 4. Decide on an accounting system. Most small businesses use an online accounting system with a payroll processing option. You might also look into Android small business payroll apps and QuickBooks payroll online. An IRS W-4 Form to designate withholding. An I-9 Form to show eligibility to work in the United States. State and local tax withholding election documents. 6. Set up direct deposit for employee paychecks. To set up the direct deposit system, you will need to contact your bank to find out how their direct deposit system works. You will also need to get authorization from each employee and information about their checking account (account number and routing number). 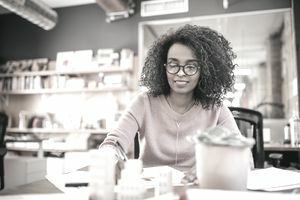 If you have payroll features through QuickBooks or another accounting system, you may be able to do direct deposit by connecting this service to your bank. 7. Set up a separate payroll bank account at your bank. This will be used for writing paychecks or paying through employee direct deposit and for depositing funds you collected from employees for federal and state income tax and for FICA taxes (Social Security and Medicare taxes) and other amounts. A separate payroll account can help you keep track of these transactions without having them mixed up with your general business bank account. Calculate employee pay. First, you will need to calculate the gross pay amount for each employee. Gross pay is the total amount you owe the employee based on hours worked and the rate or total for the pay period for salaried employees. Calculate withholding and deductions. You will use the gross pay amount to calculate withholding for federal (and state and local, if applicable) income taxes. You will also need to calculate the deduction for FICA taxes and other deductions for items like health plans and retirement plan contributions. Write paychecks (or send them by direct deposit). Write paychecks and distribute them to the employees. You can make your payroll tax deposit payments on Form 8109 or use the IRS electronic filing system (EFTPS). Make payroll tax deposits to your state, and possibly your locality, in addition to federal payroll tax deposits. Submit an annual unemployment tax report on Form 940 to the IRS showing the amount of your unemployment tax liability and the amounts you have paid on this liability. Submit other state unemployment and workers' compensation reports. To keep track of all payroll information for each employee, you will need to create and maintain a payroll register. Most online accounting systems have a payroll register as part of their package of reports but, just in case, here's the information on what to include in that document. You will need it for year-end payroll totals and reports. Creating and maintaining a month-by-month payroll tax calendar, either on your accounting/payroll software or manually, will help you keep track of all those payroll tax dates during the year. Add in your state's payroll tax dates for a complete calendar.